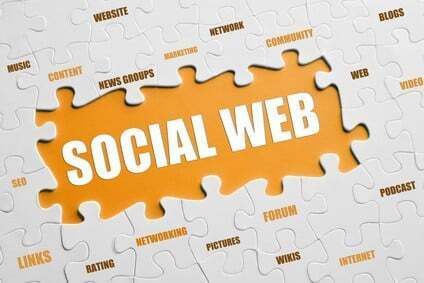 Many businesses put a great deal of effort into using social networks to attract visitors. They post items on Facebook, they share linked images on Instagram, they Tweet links to interesting content. On top of that, they upload things to Pinterest, they add status updates to LinkedIn, and they share things on Google+. Without a doubt, social media activity is significant amongst most online businesses. Research suggests that businesses might be doing the wrong thing. It turns out that visitors to a website that arrive from social networks are the least engaged people you can have on your site. The study found that people who go to a website direct, by typing in the address or using a bookmark or favourite, are the ones who spend longest on a site and who view more pages. However, the visitor from a social network tends to stay only a short amount of time, looks at very little of your website and has gone before you know it. This issue was discussed in “Are Social Network Visitors Actually Valuable to Your Publication?” which suggested that you are far better off when you create your own social community at your own website. Make visitors feel as though they belong to something, was the conclusion. That is good advice, of course; the more people feel as though they belong to your business and the more they want to take part in your community, the more they will want to use your services. So how can you make people feel as though they “belong”? If all you do is ask people to sign up for your newsletter, that’s not creating a sense of belonging. People will feel they want to belong when you provide something of value. That means you need to have high-quality materials they can delve into, as well as the ability to contribute. In other words, you need to create an aspect of your business – such as a membership site – that is so good people will desire to be part of it. You create a greater sense of belonging to your business when people start to see it as “theirs”. In the UK, for instance, the High Street retailer Marks & Spencer has had the tagline “Your M&S”. It is an attempt to get into the mind of shoppers that is “their” shop, not the shareholders’. This helps create a sense of loyalty and people seeing themselves as “an M&S person”. The more your online offering focuses on the needs and desires of your customers, the more it will make them feel it is “their” business. People who belong to something that they consider worthwhile want to show they belong. Whether you give them an actual pin badge or an electronic one is not really that important. It doesn’t even need to be a badge..! It can be a bag with your logo on it, or a bookmark or anything that people use to demonstrate they are part of “your gang”. These three steps will help you maximise the value you get from social visitors. If you don’t embrace them into your community by giving them a sense of belonging, all they will really do is contribute to your bounce rate. What would it take to break the Internet?